Zilka Heating and Cooling is a family owned business that was founded in 1946 by Ernest Zilka. Randy and Cindy (Ernest’s daughter) Forcier took over Zilka Heating and Cooling in 1988 and have kept the latest air quality technology available to our customers. Zilka Heating and Cooling is now a third generation business with son, Jeremy Forcier, and daughter, Jessica Stites, joining the staff. 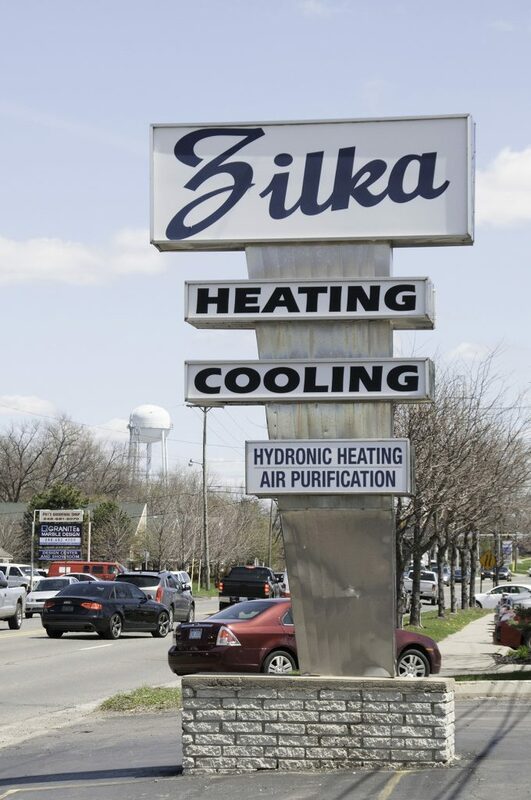 Located in Sylvan Lake, Michigan, Zilka Heating and Cooling maintains a fleet of trucks to quickly and conveniently service Southeast Michigan. Comfort and fuel efficiency are the driving forces behind the wave of new products in the heating and cooling industry. Customers are looking for a higher level of comfort and Zilka Heating and Cooling has the products and expertise to meet and exceed those expectations. Using variable speed furnaces, high efficiency air conditioners, remote control thermostats and air purification systems, we are able to maintain air quality excellence in your home or business. Bacteria killing ultraviolet lighting in the ductwork is available for customers who want maximum environmental comfort. Our fleet of technicians and installers are industry veterans, and most have a long history of service at Zilka. The increasingly sophisticated equipment requires that our staff be continuously trained to keep current on the latest technology. We know that every job is unique and we are prepared. We offer custom ductwork design and fabrication for both commercial and residential applications. This ensures that your heating, ventilation and air conditioning installations are efficient, quiet and functional in any environment. We service and install in Bloomfield Hills, Birmingham-Bloomfield, Troy, West Bloomfield, Waterford and Greater Oakland County.